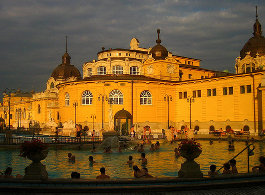 You can buy your bath ticket online now to get a fast track entry with a private cabin to access all 18 pools, thermal baths, spa facilities in Szechenyi Bath, the leading medicinal hot spring bath in Budapest, along with Gellert Spa. Tickets can be pre-booked in Hungarian Forints or in Euros. 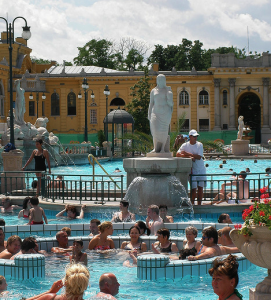 Depending on the Euro currency, for almost the same price you would pay at the cashier of Szechenyi Baths, but if you are on a tight budget, you can save 1-2 Euros by queuing at the Cashier in Szechenyi Thermal Bath. 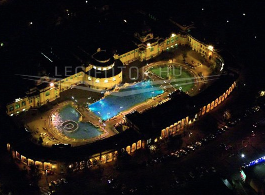 Please check the current prices here: Szechenyi Bath Prices. You can book your tickets online via our booking form on the left side. Groups of 10 or over can contact us for a group discount. Please note that party tickets are sold separately, and are not identical with the bath tickets! In Hungarian Forint, you can buy your bath entry for the same price as at the cashier, but you do not need to stand in a line for an endless time (a life savior on hot summer days, and cold winter peak days). In Euro, for about an extra €0.5 – 1 (depending on currency changes) you can buy your peace of mind, and skip the long lines of locals and tourists trying to get in the famous baths. 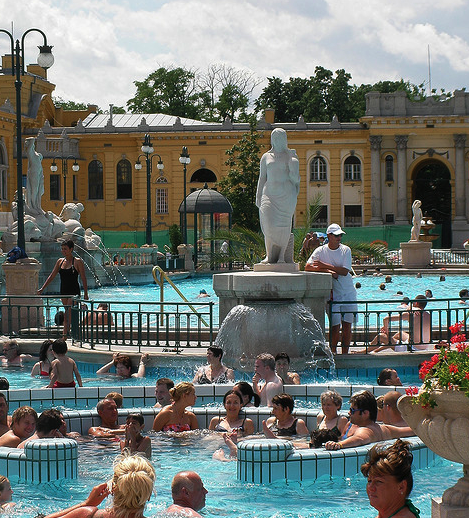 By purchasing the Fast Track Entry to Szechenyi Spa & Thermal Baths you not only skip the hassle of having to wait for getting into the baths, but you will also ensure entering the baths via our private entrance at the Help Desk with officials speaking high level English. Please note that massage treatments need to be booked at least 24 hours in advance (48 hours at weekends), but bath tickets can be booked for the same day, or next day too. Online tickets are confirmed via email: the confirmation email is your bath e-ticket, so if you have a smart phone with wifi access, you can buy your ticket instantly. Mobile phone bookings via phone are currently not available. 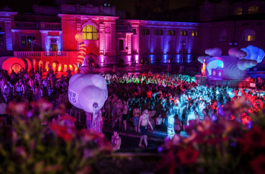 Bath Party Tickets are sold separately from the regular Szechenyi bath tickets.You can book your party ticket online via our party ticket vendor by following the link (redirecting you to PayLogic payment site on a secure payment page). Do I have to buy 2 tickets with 2 cabins? It seems we can buy 1 ticket with 1 cabin and 1 ticket with a locker. We are two adults and can take turns changing. of course, you can buy 1 cabin and 1 locker if you wish to share the cabin. Hi, is it possible to visit in the morning, leave for lunch and then come back in the afternoon? Thanks! Unfortunately not, the bath tickets can only be used once. Thank you for your understanding. I purchased 2 tickets online tonight with the hopes of visiting tomorrow. I’ve had the PayPal receipt but no tickets sent to me? I’ve checked my junk mail and there is nothing there either? 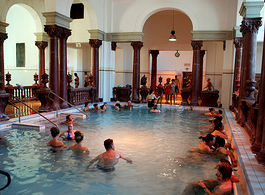 Hello, I am planning on visiting the baths Saturday 9th or Sunday 10th. Is there a better day to visit? Also, does the private cabin just mean somewhere to get changed? We are a group of four and wonder if we can get 2 with cabins and 2 with locker and share ? weekends are always busier than the weekdays, but there is not much difference between Saturday or Sunday. 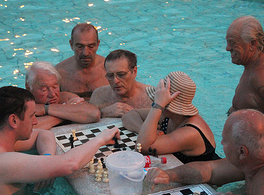 The cabins at Szechenyi Bath can comfortably take up 1 person, and a bit more tightly even a couple to get changed. However, if you wish to use the cabin as a couple or as a family, we suggest getting changed by taking turns. 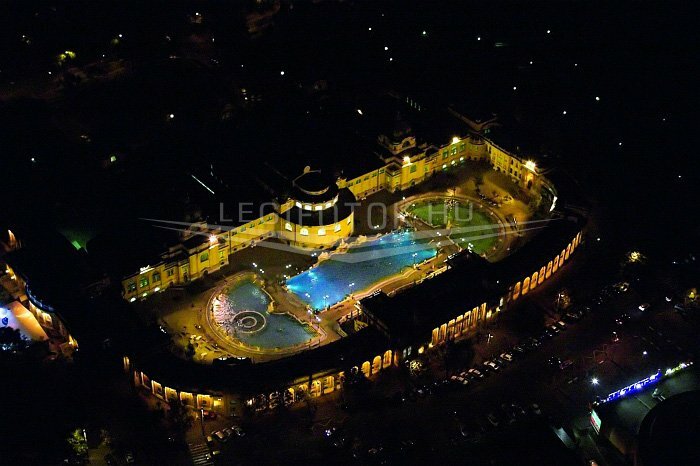 Hope we can welcome you at Szechenyi Spa Baths Budapest. I am going to come with two kids of 9 and 4 years old. How much for 2 kids and 1 adult? I’m afraid there is no special child ticket in Szechenyi Baths, so you will need to buy a normal bath entry for the kids too. Thank you for your understanding.